Welcome to Coda Falconry. 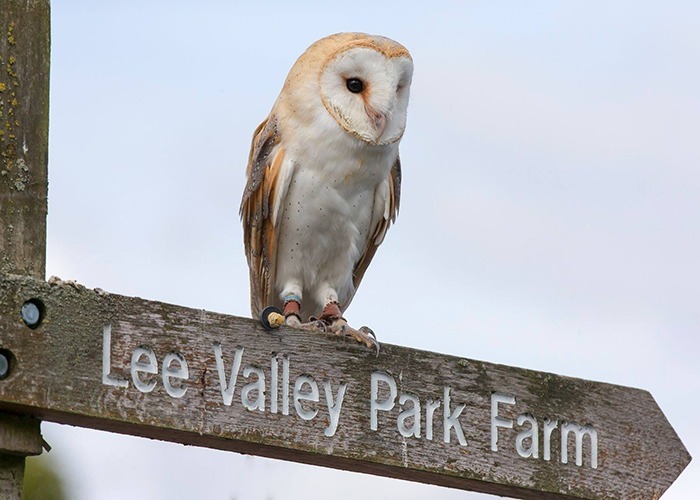 We are an award winning bird of prey centre based within Lee Valley Park Farm, Essex. We pride ourselves on the outstanding care and devotion given to our diverse collection of birds and for providing educational falconry experience days that both children and adults can enjoy. These displays and the opportunity to walk around our owl aviaries are included on the usual “Lee Valley Park Farm” entrance fee. If you are interested in our experience days you can book online now. One of the best parts of our job is receiving feedback from happy customers – below are a few comments from people who have had the Team Coda experience. The birds were incredible and the variety was great. What really made the day even more special for me was the staff. We only had two hours but it seemed there was no rush for us to leave. They really new their stuff and were more than accommodating. I would recommend coda falconry to everyone I know and it is definitely something I want to do again. Myself and my friend spent 5 days with Coda Falconry doing their 5 day course. A wonderful and informative experience. Great teaching by knowledgeable teachers. Highly recommended. Will be definitely visiting again. An absolutely brilliant experience! Spent half a day with beautiful birds and wonderful, knowledgeable staff! Nothing was too much trouble. I can’t believe we got to hunt with a Harris Hawk out in the fields! The birds were happy to be handled and were so obviously healthy and loved! Can’t recommend it high enough! Fabulous! We were so grateful to CODA for making my Mum’s 70th birthday one she will never forget! Chris and Nicky came to Mum’s house with 3 beautiful owls, little Otis, Dusk and the gorgeous Frost. They immediately put a nervous , excited Mum at ease and told us all about our special guests. We all got to hold the owls and fly Dusk the Barn owl which was Mum’s favourite, an amazing experience. I can’t begin to say how much we all enjoyed the experience and can’t wait to visit the falconry centre soon. thank you CODA! My 80 year old mother and I booked the 2 hr falconry experience and it surpassed all of our expectations. I know there are others who do this but check if you are buying 1-1 attention because that is what you get here. Sarah’s passion, knowledge and lover for her birds makes this particularly worthwhile – and the birds themselves are wonderful ranging from cute little owl Wilf to the ever so swift Willow, and the impressive and heavy Nelson. Loved the whole thing and if I ever came back to England would try a hunting day for sure! My 13 year old daughter & spent a fantastic couple of hours handling some beautiful birds of prey during our Birds of Prey Experience Day. Coda’s Nicky & Chris made it a fun & very informative afternoon. It was quite amazing to handle, fly & feed such lovely owls & falcons. It’s situated in a lovely animal farm setting which make a great day out for kids.